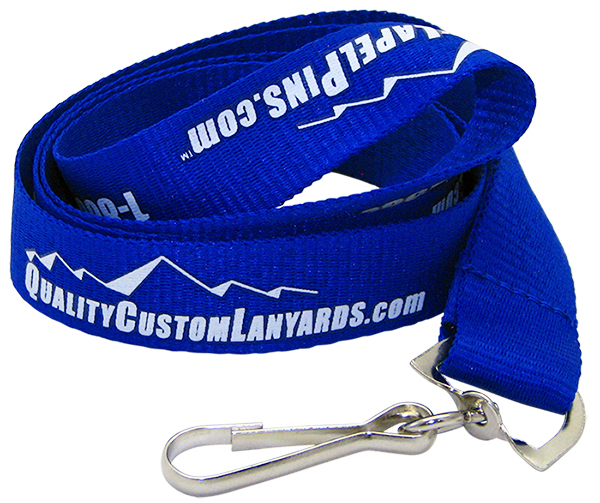 Quality Custom Lanyards focuses on one thing: custom lanyards. 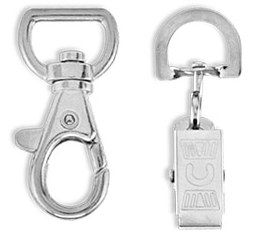 This allows us to make a higher quality lanyard at a lower price. Our customized lanyards are made to your design, colors and attachments giving you a personalized lanyard you can be proud to wear. Whether you're looking for custom woven lanyards, custom printed lanyards or any other type of custom lanyard, we've got you covered. 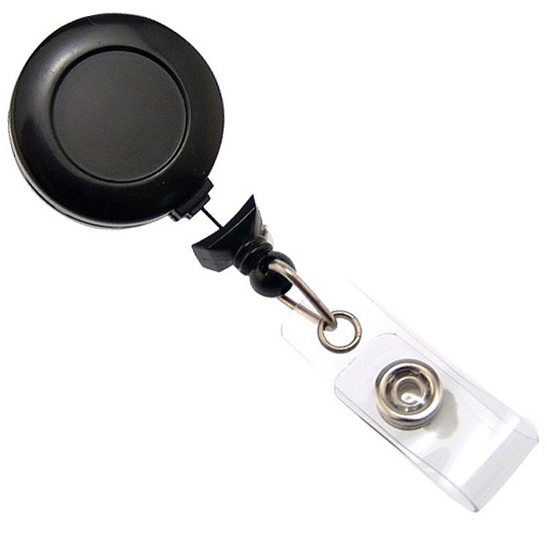 Custom lanyards are great for schools, trade shows, events, and company ID cards. We pride ourselves on offering custom made lanyards at some of the lowest prices anywhere, the highest quality and best customer service. Fill out a quote request and see the difference for yourself. Send us your design ideas and how many custom lanyards you want. You can send us pictures of your ideas, or just a description of what you want your custom lanyards to look like. Get started here. We will make a proof of your custom lanyard and email it to you for approval. You will have a chance to make changes to the design if you want them. Once you're happy with the design, we will begin production. We will make your custom lanyards and ship them anywhere in the world. You can also reorder the exact same lanyards any time you need more. The most popular and affordable type of lanyard. 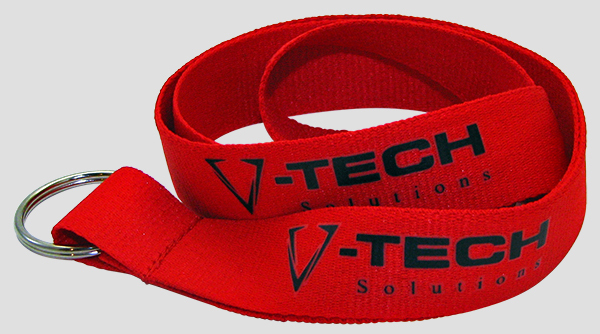 Custom imprinted lanyards (also called silk screen lanyards) allow for great detail and multiple colors. We use a high quality durable silk screen process that will not rub off or smudge. Your lanyards will be completely custom made for you: you choose the text, you choose the logo, you choose colors, and you choose the attachments. 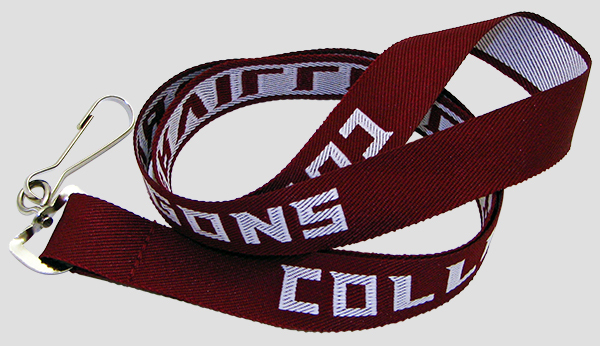 Our custom woven lanyards start with a strong polyester material dyed to your specified color choice. Then your design is stitched directly into the fabric of the lanyard making a high quality, long lasting lanyard that you'll be proud to share. When you order your lanyard from us, your lanyard will be completely custom made. High quality silk lanyards with a full color dye sublimation printing. This is the highest quality, softest, smoothest lanyard you can buy. 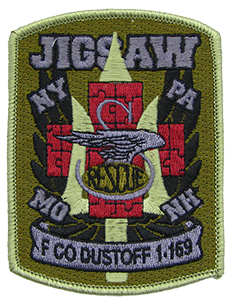 The printing technique allows for unlimited colors, making them perfect for complex multi-logo designs. 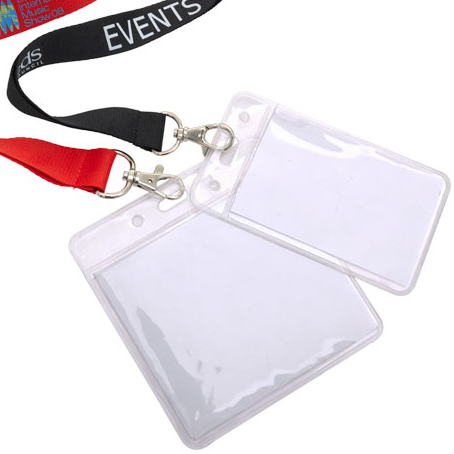 The printing is dyed directly into the fabric of the lanyard instead of being printed onto it, so you never have to worry about the ink smudging, breaking down or rubbing off. Once the image is transferred into the lanyard it is permanent. Our custom imprinted shoelace tube lanyards use our high quality printing process, but on the polyester shoelace tube lanyard material instead of the usual flat ribbon material. These shoelace tube lanyards are usually half of an inch wide, making for a thinner but still substantial lanyard. Our imprinted nylon lanyards use our same high quality imprinting process, but the lanyards are made from nylon instead of polyester. The fabric is a bit stiffer, but is very shiny and smooth. The nylon lanyards feel a little more hefty and substantial than the polyester lanyards. Our eco-friendly lanyards use our same high quality imprinting process, but the lanyards are made of recycled polyester material. 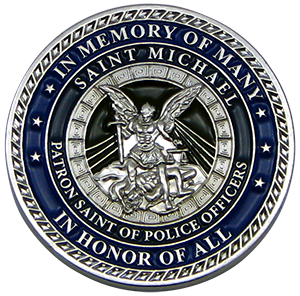 The material is nearly indistinguishable from our regular polyester material, and is just as durable. This means you can have “green” lanyards without compromising quality. 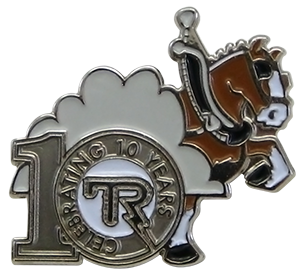 We have 2 decades of experience with designing and manufacturing custom lanyards. We have the knowledge and skill to make lanyards you’ll love. We don’t skip on quality to cut our prices. 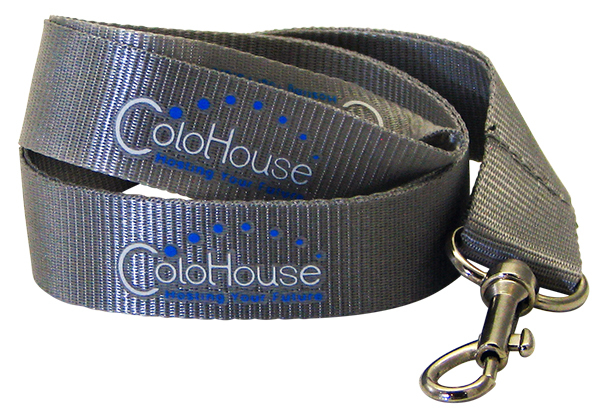 We take pride in providing high quality lanyards at low prices. Choose from over 10 different attachments to suit many different uses. "The lanyards arrived yesterday. Thank you very much for getting them done by this weekend. I have to say, I'm very impressed. They look great!" Again, thank you.